will appreciate any advice in the matter. 1. My h1b job terminated, while in 60 days if spouse h1b filed on april 1st, do we have to leave country and reenter or change of status possible. 2. 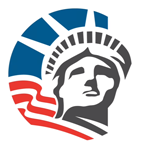 If h1b terminated with 1-140 approved status on perm, ny options if cant find new employer in 60 days grace period.